Born on September 27, 1927, died peacefully at home on Thursday, October 25, 2018. Louis was born in Albert Lea, Minnesota to Arthur P. Springborg and Victoria (Broulik) Springborg. He graduated from grade school at the age of 15, and took a job at Northern Pacific Railroad in Brainerd, MN until October of 1944. He enlisted in the Merchant Marines and served until 1946. Louis then went to work for REA in Albert Lea from May 1947 until February of 1949. At that time he enlisted in the Army and served until August of 1952. Louis met and married Vernell Avalon Dale in 1953. They had two children, Patricia Dale and Jeff Springborg. He worked for Powerite Electric as an electrician specialist in Austin, MN until 1968 and then went to work for the American Can Company, as an electrician/foreman. In 1976 he was transferred by the American Can Company to Fort Dodge, Iowa where he continued his supervisory role until 1980. Louis then moved his family to Waseca and worked as a maintenance supervisor for the Waseca Hospital until his retirement in 1988. Louis was a member of St. John’s Church in Weyauwega. He loved his family and friends. Louis was a very proud veteran, always honoring his country and flag. He enjoyed hunting, fishing, camping and traveling. Louis had many hobbies, which included building and flying model airplanes. He was quite the artist with his pencil drawings and beautiful stained glass designs. Louis loved to play his harmonica and every once in a while you could catch him dancing a 3 step/jig, while playing. He also was a cartridge collector and enjoyed wood working. He made a beautiful grandfather clock, which his grandson Ryan has. He made tiny little figurines that were so life like and perfectly to scale. Louis was a meticulous and very talented craftsman in everything he did. He was truly a man of integrity and had a life well lived. Louis is survived by his wife: Joan M. Springborg of Waupaca; daughter: Patricia Dale of Rochester, MN; son: Jeffrey of Denver, CO; grandsons: Ryan Raker of LeSeur, MN and Matthew Raker of North Mankato, MN. He is further survived by his sister: Joyce (Richard) Lowman and his wife’s children: Shauna (Mike) Bemis, Scott (Brenda) Fuller and Mark Fuller, 17 grandchildren, 18 great grandchildren, nieces, nephews, other relatives and friends. Louis was preceded in death by his parents, sisters and brothers-in-law, Gwen (Hal) Harvey, Marjorie (James) Murtaugh, nephew, Jay Murtaugh and Joan’s son, Rick Fuller. The Funeral Service will be on Monday, October 29, 2018 at 11 a.m. at the Maple Crest Funeral Home. 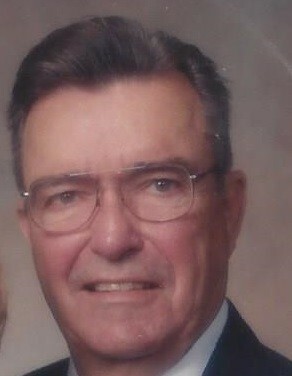 The visitation will be on Monday at the funeral home from 10 a.m. until the time of the funeral.